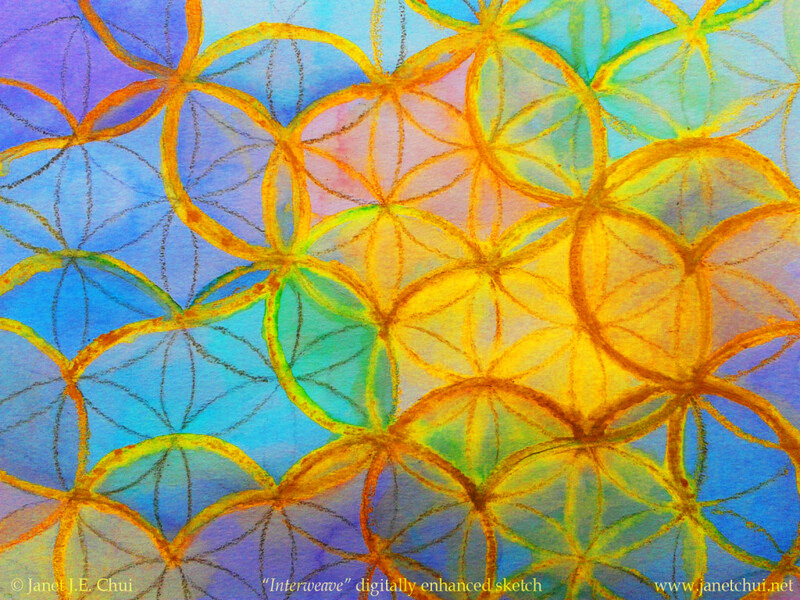 “Interweave”, a digitally-enhanced sketch, 2015. I know more women now than ever who are single, separated, or divorced. We share one thing in common: we’ve said No more to those mismatched to us. Doing this, we buck society’s dictates, whether those from misogynistic traditions that “need” to see women as property (of males, of course), or those expectations of well-meaning friends who want us paired for one reason or another. Sometimes those desires of our friends exist because they know us, but sometimes, they may also be projected. Astrology is not destiny, of course. It can reveal the challenges we were born to work with. It’s just foolhardy to think we need to all fit the ideals created by the entertainment and advertising industries, and further peddled by friends/family who may have swallowed that stuff for real. In truth, our emotional and romantic paths are going to be as diverse and interesting as our personal spiritual paths. To try and walk with the madding crowd on any of these journeys may appeal to some, but not all. This entry is for those walking their own way. Do what you will that honours yourself and that hurts no one, not even you. Create your happiness, and only invite those you want to share it with you. May you be happy. May you be kind to yourself, understanding of yourself, and strong in yourself. May you find all the love you need within yourself, any time, all the time, whether it’s reflected in another or not. We are all God, and already complete. There is no “completer”, only the mind that creates the illusion of another state to which we must aspire. Kill that illusion. Know that you are already Loved.